By improving your WordPress SEO you can quickly increase your website traffic and revenue. The default installation of WordPress has better SEO than other counterparts, but there is a lot you need to do to improve the SEO of WordPress. In this beginner’s friendly tutorial, I have shared everything you can do to optimizing your website for WordPress SEO. How do I’m sure of that? Well, ShoutMeLoud (this blog) runs on WordPress and we receive more than 1 million page views every month. However, one thing that you should know, there are rumors that WordPress has the best possible SEO options. But this is not entirely true! WordPress is not SEO friendly. At least, the default WordPress installation is not. If you, like many others, believe that your stock installation of WordPress will get you excellent, or even good rankings on search engines, you are misinformed. WordPress needs a hell lot of SEO to make it search engine friendly. But luckily, making your WordPress blog SEO friendly is rather easy with the help of WordPress SEO plugins. Here, I will outline some of the default settings of WordPress which are not SEO friendly, and what you should do to change that. 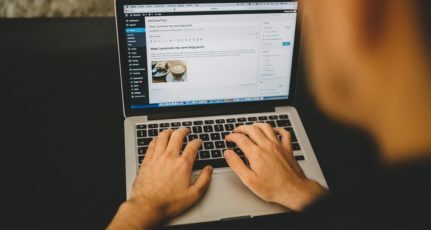 Is WordPress a bad platform for blogging? On page SEO and On-site SEO, are something that you can easily take care of with the help of your content, plugins and a bit of discipline. Off-Site WordPress SEO consists of generating backlinks to your website. This can be achieved by outreach, broken link building or by utilizing other techniques. In this guide, we are more focused on On Page and On-Site aspect of SEO. This technique will help you to optimize any post/page on WordPress for a target keyword. This helps search engine understand what your content is about and help you rank for the right keyword. If you like to learn more about this, read our guide on On page SEO. These are more technical SEO settings where you help search engine bots effectively crawl and index your website. Factors like page speed, Robots.txt, and others play a major role. Again, if you understand the basics with the help of this WordPress SEO tutorial, you will have no problem optimizing your WordPress website. Google search console is a free SEO tool which you should use from day one. Even if you don’t know how to use it, you should add your website to Google search console. This will help you to collect all important data and as you move forward with your WordPress SEO learnings, this data will help you in faster optimization of your WordPress website. Here is a detailed tutorial on how to submit your website to Google search console. 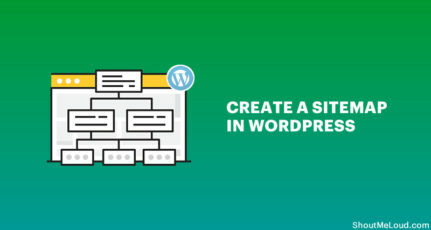 Let’s start with Sitemap, which is an XML file containing an index of all important link (Posts, Pages, Tags, categories) of your WordPress website. This sitemap file will help search engine bots like Google bots to effectively find all the pages of your website. There are many WordPress Sitemap plugins out there, but I prefer using Yoast SEO Sitemap feature which is one of the oldest and reliable one out there. All you need to do is install and activate the plugin and go to plugin settings and generate a sitemap for your blog. Now, go to Google search console and Bing Webmaster tool, submit and verify your site and submit a sitemap. This will help them to crawl and index all internal pages of your Blog. The WordPress default permalink is not SEO friendly, and you need to change that as well. Whereas non-friendly URL’s uses the numbers and it’s hard for a normal user to understand the content. You should always use a search engine friendly URL structure. If you have read my WordPress essential setup guide, you might avoid making this mistake. But if you are still doing this, it’s time to change your permalink structure to a more search engine friendly version. Head over to Settings > Permalink and select /%postname%/ as your permalink structure. Update: In the latest versions of WordPress, the permalink is search friendly. You may not need to make any changes. Duplicate content is another major issue that affects the overall WordPress SEO score. The cause of the duplicate content issue is when more than one URL of your webpage shows the same content. This usually happens when you set your archive pages (category, tags, dates) to index and instead of showing excerpt, you should the complete content. This confuses the search engine and causes a duplicate content penalty. You should periodically scan your WordPress website for any broken links and fix it with new links. The above two plugins will help you do the same. Structured data helps the search engine understand more about the data of your content. For example, you can markup a blog post as an article, an event type as an event page and add data like event start date/end date, and this shows in SERPs. Similarly, for review articles, you can show the star rating in the search engine. IMO structured data is the most underutilized WordPress SEO technique that you can use to outperform your competitors. 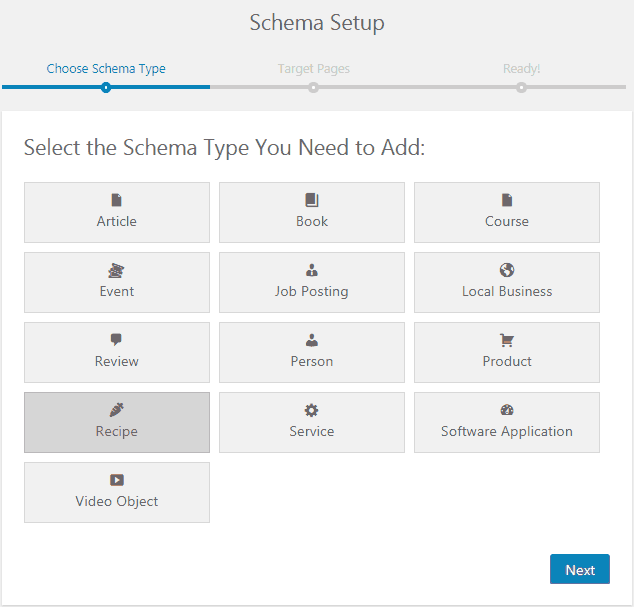 For this, you can use a plugin called Schema pro plugin. Using an SSL certificate (free or paid) let you use the HTTPS protocol. This ensures the data between your website and visitors browser are encrypted. 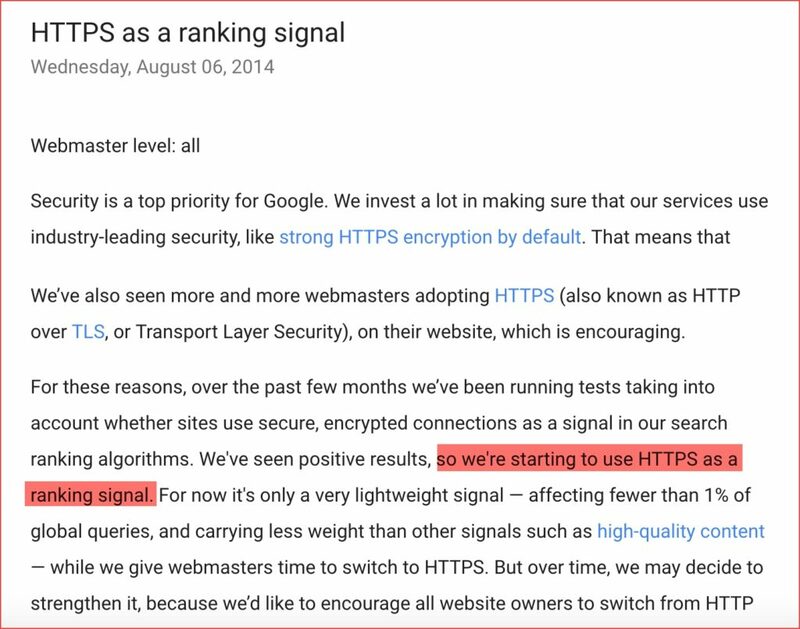 Google has already made it official that HTTPS is a ranking signal and something you should not miss using. Most of the WordPress hosting companies now offer free SSL certificate which is idle for any information based or non-transactional WordPress website. If you are using WooCommerce or any other e-commerce platform on WordPress, you can consider using a paid SSL certificate. This is another big SEO issue with WordPress. I have faced this issue in the past, and this became one of my biggest issues when my site got penalized by Google Panda. There are many fixes for this. 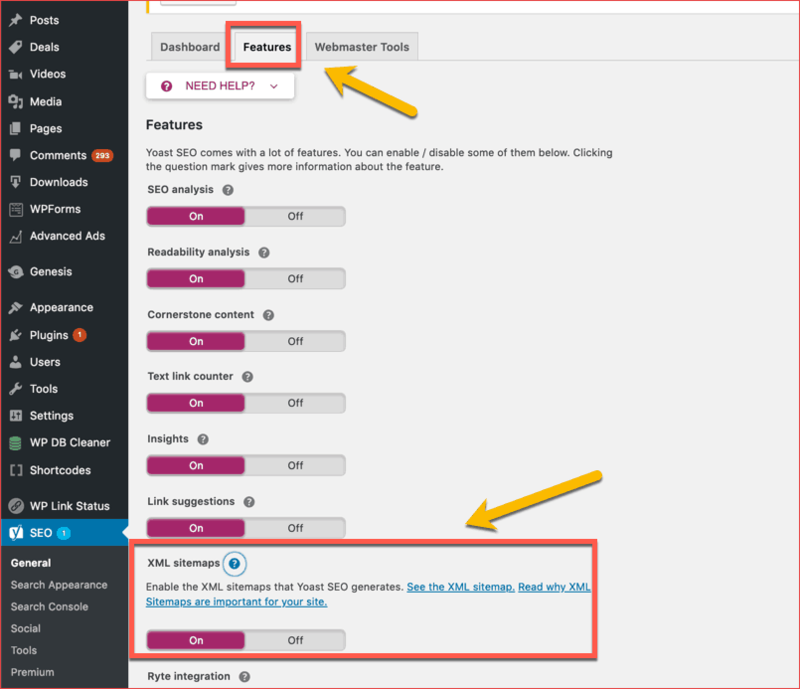 You can use the WordPress SEO by Yoast permalink options to fix it, or you can use URL parameter settings in your Google Webmaster tool. There are many other such URL parameters which are used by WordPress (usually because of new WordPress plugins and/or theme settings), and you should use the Webmaster tool’s URL parameter settings to make sure your blog never gets victimized because of this WordPress SEO issue. Whenever we talk about SEO friendly blogs, we can’t miss out on one of the most common optimization techniques: SEO titles and meta descriptions. I remember asking WordPress co-founder Matt Mullenweg in 2009 at a WordCamp event about integrating an SEO plugin such as All In One SEO in WordPress by default to make it SEO friendly. Matt answered by saying they want these things to be optional because there are so many plugins out there, and the user should pick the one that suits them the best. Though, in my opinion, it would be good if Automattic added an SEO feature to the stock WordPress installation. This would help new users make their on-page SEO stronger. But for now, you can always use any WordPress SEO plugins to add an SEO meta title and SEO meta description. Also, if your blog has lots of images, you can consider creating a sitemap of WordPress images and submit it to Google search console for deep indexing. I have tried this method, and this not only helped me to rank fairly high for some competitive Keywords but also helped me to drive targeted traffic. The loading time of your pages is one of the factors in search engine ranking, and WordPress is one of the most memory-hogging platforms out there. The stock version is okay, but when you keep adding new plugins and themes, your database grows over time. When this happens, your site slows down. WP Super Cache and WP-Rocket are two of the best plugins out there for optimizing your WordPress blog for SEO (regarding speed). Currently, I use the WP Rocket plugin for caching and improving the performance of my WordPress blog. I highly recommend you try it too. 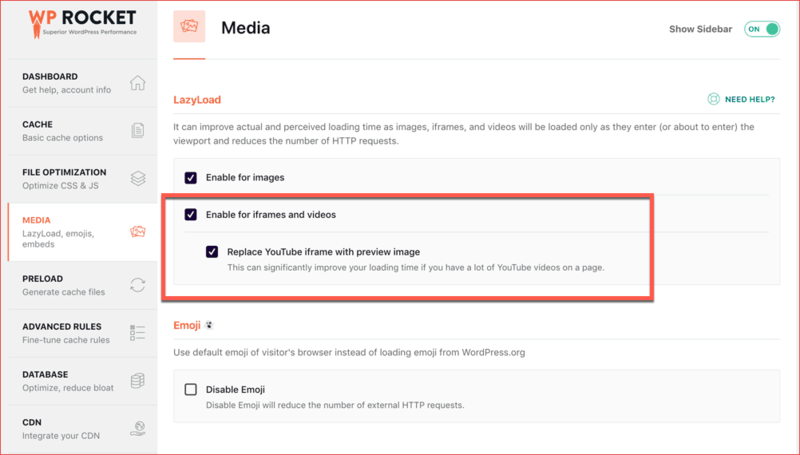 Especially if you are embedding videos from YouTube on your posts/pages, your load time will be really high. 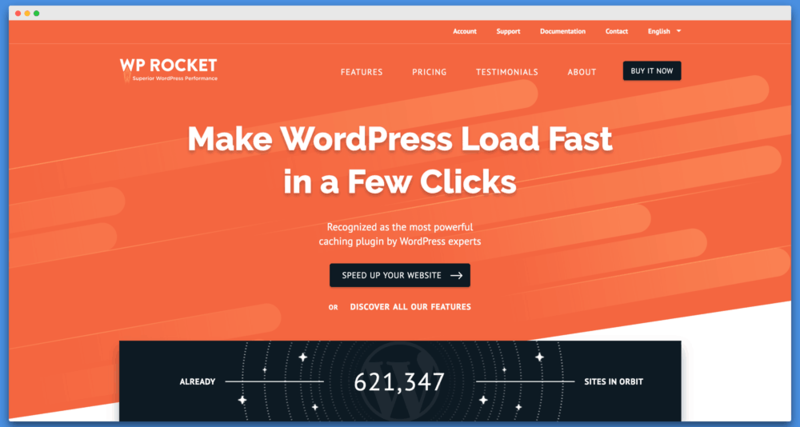 By utilizing the lazy load videos feature of WP-Rocket, I was able to improve the loading time of these pages significantly. Take your time to configure the cache plugin properly and this will drastically improve the loading time of your WordPress website, which in turn will improve WordPress SEO significantly. 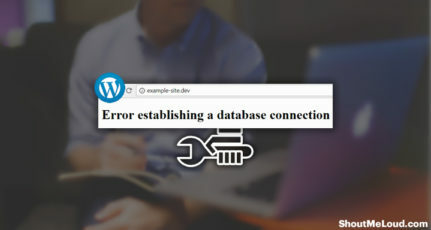 This is another underutilized technique which is highly recommended for every WordPress users. 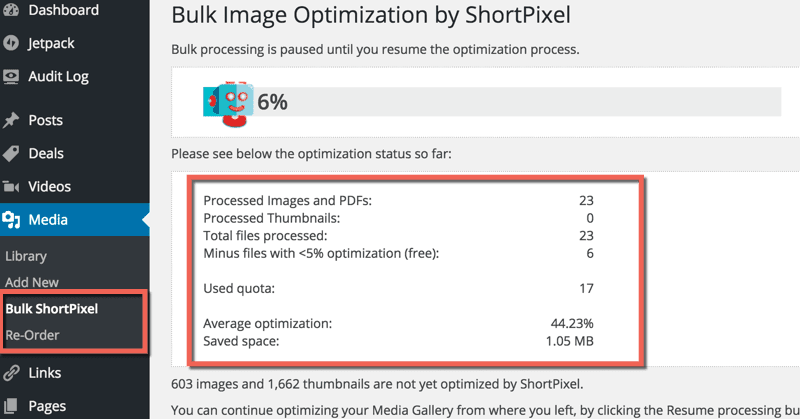 Images are important but they decrease load time. The solution is to compress your images which degrading the quality. Thanks to the advancement of technology, now there are plugins that automatically compresses the images on your WordPress website. ShortPixels is one such plugin that I use here at ShoutMeLoud which works out of the box. You can use this plugin for compressing all existing images on your WordPress website and new images as well. We have a extensive tutorial and review of Shortpixel plugin here. Also, work on limiting your plugins to make your blog load faster. From time to time, keep deleting your post revisions, and Optimize your database for any redundant tables. These are just a few features which make standard WordPress blogs non-SEO friendly. There are many other things which every WordPress user should do to make his/her blog optimized for search engines. It’s actually the best blogging platform! With the availability of high-functioning plugins, you can do everything you need to do to achieve search engine success. Do let me know what other practices you follow to make your non-SEO friendly WordPress blog SEO friendly. I have recently switched from All in One SEO to WordPress SEO by Yoast and I am so happy I did. WordPess SEO is actually helping my writing style through its readability feature. Yes, a lot of bad SEO can be attributed to the basic WordPress platform, but we must also take some of the blame. Having the right SEO tool will not only improve The SEO of WordPress, but our ability to optimise our content as well. Great post once again. I wanted to make a quick mention that I truly believe Yoast is the best practice when starting. I suggest everyone start with small keywords, Google it to see if it makes sense, and then use Yoast to build your first page/blog. The other SEO apps will drive you down the road of thinking it’s safe to do lots of keywords early on. I found that a lot of time can be thrown away into dangerous SEO products, that doesn’t explain anything up front and have a very high expectation that you’re in the know… Most will not be in the know, use Yoast – upgrade it, I can’t recommend it enough. And just my personal opinion – Yoast is your best options for anyone starting out in WordPress. Careful when swapping themes and replacing old Yoast tools. Sometimes things will be left over and you will want to go in and clean that content out. Thank you for sharing, we use simple permalinks and Yoast seo on our blog. Reading other posts and comments is what I do and gives me many ideas. In fact I have written many blog posts based on comments I have done myself. As an artist it really is difficult to keep content fresh and on subject, however I also write about marketing which is what every business is relevant to as we all have to do it. I never run out of things to post about as long as it’s relative to what your blog is about, Just think outside the box and start writing. Trick is don’t focus so hard on the title until after you start writing, It will come to you after you begin. As you told that WordPress is not SEO friendly , now I’m able to understand why they is not. Helpful post for very beginners as well as intermidiate learners. Even I have the same opinion! WordPress theme are hardly any user friendly forget about being SEO friendly! The biggest problem is its mediocre font color, font style, and color. It is horrible! However , the bespoke designed blog pages are always better. Atleast they look good. And that matters is your content looking good and is readable!